Last time, we dealt with some advanced tips and tricks in our most recent Fallout Shelter strategy guide. The tips we discussed talked about weapons, the Wasteland, and the all-too-familiar topic of rooms. We also touched on training your Dwellers and improving their skills. 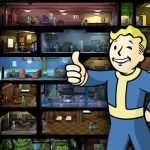 Now, we’ve got yet another set of advanced tips for this addictive game, which is Bethesda’s first mobile entry in the Fallout franchise. So without further ado, let’s take you to these tips and talk you through some of the ways you can deal with a larger population, nuclear reactors, and other challenges you’ll encounter in the later stages of the game. But first, let’s go back to the Wasteland and tackle the subject in greater depth. 1. 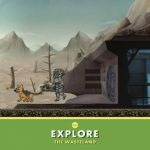 How Can You Survive Long In The Wasteland? In the first part of our advanced tips, we said that Dwellers will typically survive 90 minutes in the Wasteland without any Stimpaks and/or RadAways. But there have been some claims that you can have them out there for one day or more, even three and a half days, though the latter claim may seem a bit wild. That takes care of the “how long can you survive” question above. But what about the second one, where we jumbled the order of the words to change its meaning? The answer to the second question would be experience. Dwellers who are at a high level, meaning Level 30, 40, or more, could last about a day out there in the Wasteland, assuming they’ve got the right gear and are exploring with Stimpaks and RadAways. But if you outfit a Level 10 Dweller with the same equipment and supplies, he or she will likely last half a day – that’s not bad, though definitely not as good as having a Level 30 Dweller or better explore with that equipment. That said, you should focus on sending experienced people to the Wasteland, as that allows them to stay out longer, hopefully long enough to come back with a figurative truckload of prime loot. It’s also worth noting that more experienced Dwellers typically come back with better-quality weapons and outfits in greater quantities. In addition, SPECIAL stats play a role in determining how long your Dwellers can tough it out in the Wasteland. SPECIALs at Level 10 or higher can really help someone stay out in the Wasteland for a long time; you want to focus on your Dwellers’ strengths and try maxing them out through the training rooms we told you about last time. With an outfit-wearing Dweller’s experience at 20+, his/her weapon sporting damage power of 7 or more, Strength or Endurance of 5 or more, Luck of 5 or more, and at least five Stimpaks and RadAways, you can be confident he/she will come back safely after a long trip to the Wasteland. The Nuclear Reactor comes at a premium price once you’ve got it unlocked, but its benefits are worth it when you’ve got one. Consider that having a three-room Nuclear Reactor at Level 3 would give you about 20 percent more power and four times the storage, compared to your three-room wide Power Plant, which will only produce 49 Power and 300 Storage. Talking about rooms – and you know we have to – some have suggested replacing old resource-building facilities with upgrades the moment you have enough bottle caps to do so. This can be quite inconvenient, as you have to start with the rooms that are the farthest from the elevator, and while you may have to do some planning in advance and evacuate whoever is in there, you’ll want to upgrade to the Nuclear Reactor, Water Purification Systems, and the like once you have the means to. 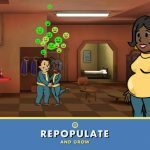 Assuming you’ve got at least a hundred Dwellers cooped inside your vault, there are some things you have to keep in mind to properly manage that population. First would be to curb your baby-making initiatives – pairing guys with girls to make babies in the Living Quarters is a good tip for starters, but once your population hits about 50 to 75 Dwellers, you’ll want to slow things down. Keep on reducing baby-making activities as your population gradually grows; remember, you can only feed so many Dwellers based on the amount of resources you have. One trick you can do in a pinch when trying to boost morale is to have a male and female Dweller (with poor morale, that is) go to the Living Quarters; you want to bring them back to their assigned rooms once you sense they’re about to dance horizontally, instead of vertically. Other ways to make your huge population happy include rushing room construction – a successful rush could improve morale. Just be sure not to rush any room with a risk level of 25 percent or greater. If your population is at a hundred or greater, you may likely have a lot of Dwellers with nothing to do. Give them something to do by training their skills and focusing on their most evident strengths. Let’s start by talking about an easy tip that could help your Dweller training scheme successful. First would be to rank your Dwellers by strength and keep them on rotation when moving from one training room to the other as their SPECIAL skills increase. Example – replace your Level 4 trainee with someone on Level 3 if you’re training, say, for Strength. The second strategy would be to focus on a select few Dwellers and train them incessantly until their Special skills get fully maxed out. This latter could take a while to complete, so we suggest using the rotation system we discussed to you above. You may not know it, but you can give injured or sick Dwellers Stimpaks and RadAways even if you’re in the midst of quelling a RadarRoach or Raider attack. Just tap on your fighting Dwellers, give them Stimpaks, and you’ll see their health go back to a perfect 100 percent, thus allowing them to stay in the fight.